St. Luke’s Episcopal Parish House: 202 N North Street, Seaford, DE. Call Nikki Gonzalez at 302-519-0024. In-take 7pm to 9pm. Dinner at 7pm. 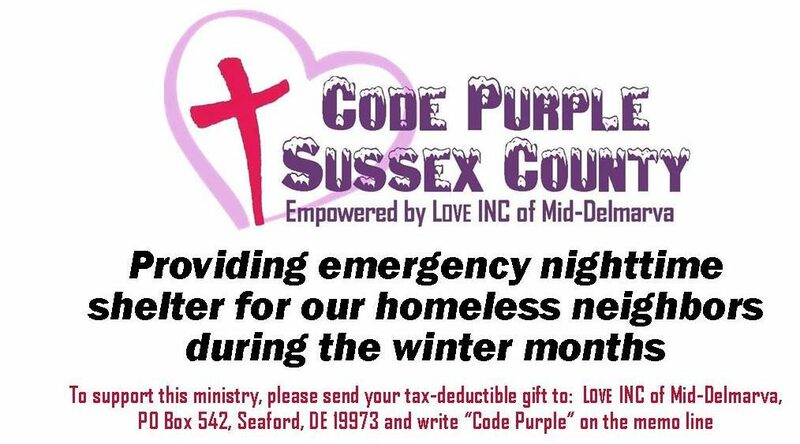 All those seeking shelter in Western Sussex County must arrive for in-take and then the women and children will be transported to Gateway Fellowship. St. Luke’s will shelter men only! Host till March 11th, 2017. Will post shelter update as soon as it is set!